In terms of geographic reach, donors operate in all of the EBRD’s countries of operations, with a greater focus on the Western Balkans, the Early Transition Countries and the Southern and eastern Mediterranean (SEMED) region. *Croatia joined the European Union on 1 July 2013. Hover over chart to reveal areas and percentages. 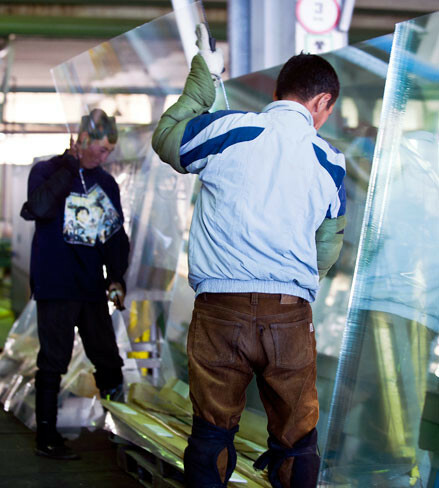 The EBRD and ETC Fund donors are helping to inject new life into the largest Kyrgyz private company, which produces glass. This support is boosting the Kyrgyz economy, securing local jobs and feeding the construction industry. The project was supported by donors to the ETC Fund. 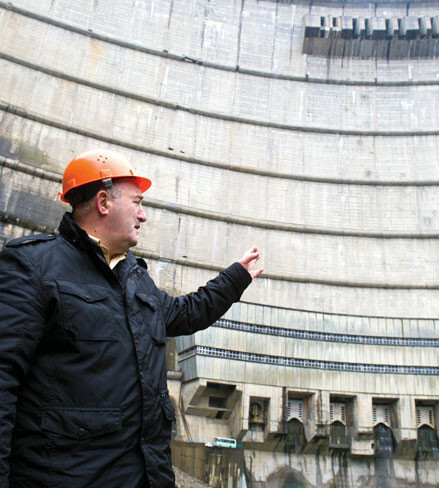 In Georgia the Enguri Hydropower plant is again providing more than 40 per cent of the country's electricity needs, thanks to the EBRD's 15-year mission to renovate the world's second biggest arch dam. The project was co-financed by the EIB and the European Union, with additional TC support from the European Union and the Swiss State Secretariat for Economic Affairs (SECO). Ten years ago, in order to accelerate transition and increase financing in the EBRD’s less advanced countries of operations, the Bank established the Early Transition Countries (ETC) Initiative. 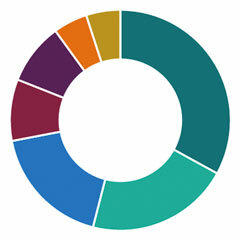 The Initiative works to mobilise donor funds and extra financing to improve the economies and living standards of people in Armenia, Azerbaijan, Belarus, Georgia, Kyrgyz Republic, Mongolia, Moldova, Tajikistan, Turkmenistan and Uzbekistan – all of which are classified by the Organisation for Economic Co-operation and Development as recipients of Official Development Assistance. The annual number of projects in these countries has increased from 8 per cent of the EBRD total projects in 2003 to 30 per cent in 2013 (totalling approximately 1,000 transactions valued at about €6.5 billion). Around 80 per cent of annual ETC transactions support SMEs – either directly or through local financial institutions. This financing has been matched by strong strategic commitments from the donor community. The multi-donor ETC Fund (including contributions from Canada, Finland, Germany, Ireland, Japan, Korea, Luxembourg, the Netherlands, Norway, Spain, Sweden, Switzerland, Taipei China and the United Kingdom), the EBRD Shareholder Special Fund (SSF), the European Union (EU) and bilateral donors have provided over €323 million in technical cooperation grants. The EU, through its Investment Facility for Central Asia (IFCA) and the Neighbourhood Investment Facility (NIF) mobilises additional funding for investment in infrastructure, energy and the environment and for SME support. These facilities cover nine of the ten ETCs. Priority areas for donor support in the ETCs are the private sector, financial and MEI development, and SMEs. Thanks to donor contributions and EBRD investments, millions of people in 64 cities across the ETC region have access to better water supplies, waste services and public transport. Another important focus for donors and the Bank is the development of local capital markets and lending in local currency. Through its ETC Local Currency Loan Programme in Armenia, Georgia, Kyrgyz Republic, Moldova, Mongolia and Tajikistan, the Bank is addressing the over-reliance on foreign exchange financing. ETC Fund donors, the US Treasury, the Swiss SECO and the EBRD SSF are providing US$ 37 million in risk-sharing funds to the programme, which has already supported US$ 200 million of local currency loans and on-lent to almost 100,000 MSMEs. The Bank and its donors also support investment councils in Armenia, Kyrgyz Republic, Moldova, Mongolia and Tajikistan. Chaired by the President or Prime Minister, these are vehicles to foster public-private sector dialogue to improve the investment climate through changes to legislation and regulations. The EBRD and its donors are supporting investments in green energy in FYR Macedonia and Kosovo under the Western Balkans Sustainable Energy Direct Financing Facility, which is backed by the European Union, Norway, the WBIF and the EBRD SSF. In 2013 donors, either bilaterally or through the EBRD multi-donor funds, supported the Bank’s projects in the Western Balkans with grants exceeding €17 million. Funding supported key strategic areas for the Bank such as the Sustainable Energy Initiative, small business finance and advisory support, legal transition and the acceleration of transition in infrastructure. In addition, the EBRD continued to strengthen its cooperation with local governments, the European Union and bilateral donors, as well as IFIs and other implementing agencies, under the auspices of the Western Balkans Investment Framework (WBIF). The WBIF, which promotes beneficiary ownership, provides grant funding for core infrastructure projects as well as innovative financing packages for two sector-based, regional programmes in private sector development and energy efficiency. In 2013, about €9 million was allocated for EBRD projects in the region. Furthermore, the Regional Energy Efficiency Programme (REEP) was launched to open up the market for municipal energy efficiency and renewable energy projects. REEP aims to achieve this through dedicated technical cooperation, investment incentives and policy dialogue to establish the necessary regulatory framework and to support the emergence of Energy Service Company (ESCO) markets. In the second half of 2013, with a grant of €23.5 million, the REEP began operations across the region. With the support of bilateral donors, the Bank will be able to continue working towards transition in the Western Balkans and to further promote regional integration through its projects. 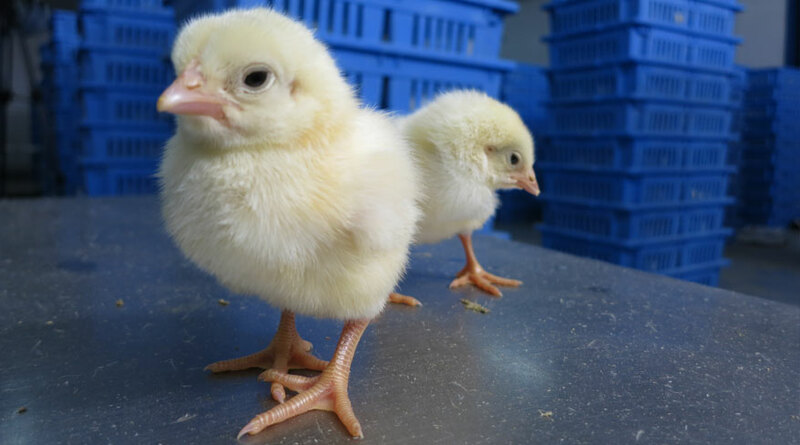 In Jordan a family-run agribusiness specialising in poultry is benefiting from the guidance of an international adviser to improve its production capacity. The EBRD project – funded by the SEMED MDA – will also strengthen the company’s disease prevention methods. EBRD donors and shareholders have continued to provide vital support to the Bank’s activities in the southern and eastern Mediterranean (SEMED) region. 2013 saw the opening of permanent Bank offices in Jordan and Tunisia, the granting of recipient country status to Jordan, Morocco and Tunisia, and, particularly, an increase in lending operations in the region. Donors have backed these endeavours with TC funding of €14 million during 2013 in support of project preparation and implementation, the extension of Sustainable Energy Financing Facilities (SEFFs) to Jordan and Morocco, the continuation of business advisory services to SMEs, building capacities of prospective clients and policy dialogue. The first investment in the SEMED region supported by donor-funded TC – a rural electrification and smart metering programme in Morocco – was signed in 2013. The SEMED MDA (backed by Australia, Finland, France, Germany, Italy, Netherlands, Norway, Sweden and the United Kingdom) is playing the role of “fund of first resort” for TC activities. Additional funding has been provided through the EU NIF, the SEMED cooperation funds account, the Middle East and North Africa (MENA) Transition Fund and bilateral donors. Overall, about 90 individual TC and framework programmes totalling €46 million have been approved for funding since the launch of operations in the SEMED region. 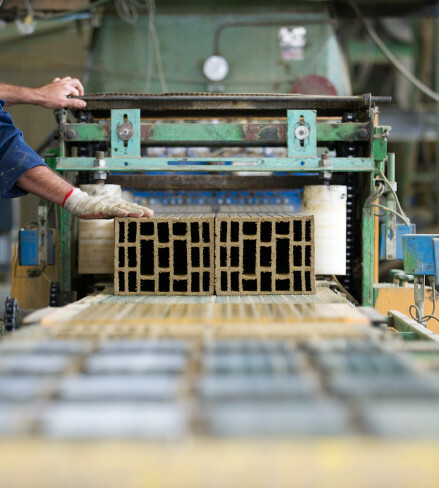 Turkey-based Muka Metal is typical of the sort of successful company that has huge potential but which needs to innovate to grow – exactly the kind of enterprise that can benefit from the advice of the EBRD’s Small Business Support. In addition to the ETCs, the Western Balkans and the SEMED countries, these EBRD countries of operations are listed by the Organisation for Economic Co-operation and Development (OECD) as eligible for official development assistance (ODA). Supporting the Bank’s activities in these countries contributes to EBRD donors’ development aid targets. 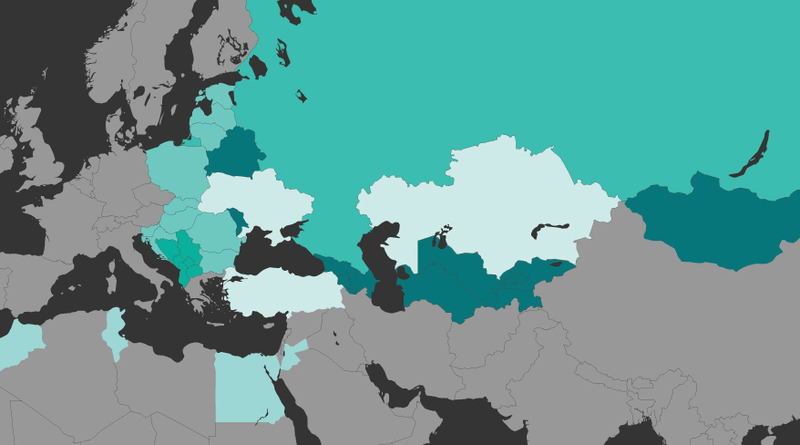 Donors support the EBRD work in countries of operations which are EU members. 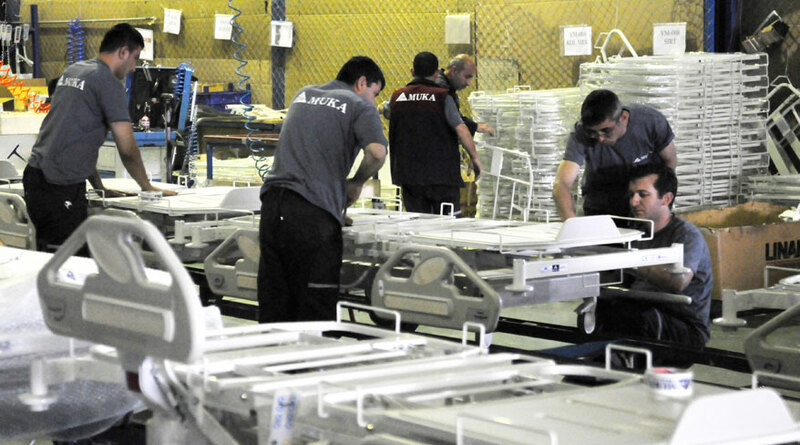 EBRD donors also support EBRD activities in Russia, the largest country of operations. Donors fund many projects with a regional scope, addressing a specific issue or theme in a number of different countries.